The box with little sampler bottles arrived yesterday as I was formulating a new perfume. It was a super busy day. I poured Vespertina samples in the morning, pondered packaging with Martha while eating delicious croquettas, crossed hills and valleys for a few more native plants and finished up the second edition of both Aurora and Lyra. Vespertina, Lyra and Aurora currently make up the triad of our floral perfumes. 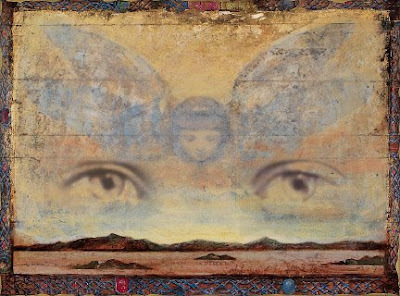 Many new ones are in the works and will be released as as Spirit guides me. Some of you have had little sampler previews enclosed with your packages. Although Lyra was released first, Aurora is the initial floral perfume I created. Back in the nineties I had sat down to recreate the aroma of carnations shortly following a Natural Perfumery class I had organized at the Bodhi Tree. Originally titled Experiment #2, Aurora has a spicy floral quality reminiscent of carnations. I consider both these botanical perfumes much simpler than the ones which followed. In fact “Q”, Chaparral, Vera, Vespertina and Sierra have quite a number of chords which are specific to them. I suppose it would be easier to develop one wood chord that would be used in all of of my perfumes. Alas, that is not how my inner artist functions. By the way, I prefer to use the word chord, instead of the French accord. My first perfume teacher used that name and it stuck. In most perfume circles you will notice they use the French accord. To be honest, I never quite understood the concept of using a word in a different language than the one we speak in. Perhaps this is because my first language is not English. This morning I will be putting the native Salvias I purchased at the Theodore Payne Foundation into the dirt. The dirt chord I have been working on smells too much of patchouli, so that one will need some tinkering. The Three Graces are beckoning me and the new perfume needs her final accessories. 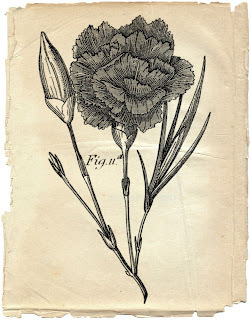 Image at top and bottom ©Greg Spalenka, Carnation engraving placed on parchment by Roxana.